Hi. 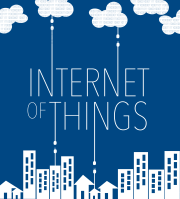 You say that you learning more about iot in scandinavian region. Finland is not part of scandinavian region. Scandinavian region is Sweden, Norway and Denmark. Finland is part of the Nordic countries, which is Sweden, Norway, Denmark Finland and Iceland. Thanks for a good Pod. I’ve been wondering about that since Finnish is such a different language. I apologize!